Patrick Wiggins uses a blower to keep a ball aloft. 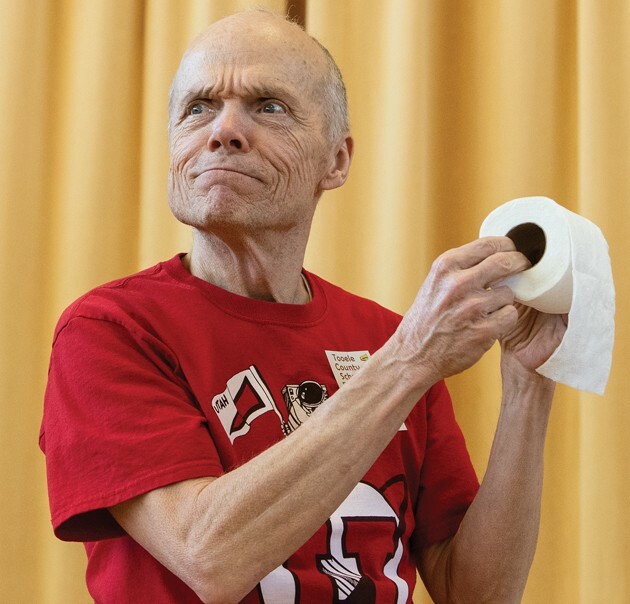 Patrick Wiggins shows how simple household items such as toilet paper can be used in experiments to demonstrate scientific principals like aerodynamics. West Elementary third-graders laughed and learned about science Thursday afternoon through the knowledge and showmanship of Patrick Wiggins, NASA Ambassador to Utah. Wiggins jumped up on a table and jumped down to explain the law of gravity. He used a hair dryer, leaf blower, ping pong ball and beach ball to demonstrate Daniel Bernoulli’s principle of fluid dynamics and Isaac Newton’s third law of motion. 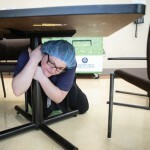 Students laughed with delight as he pulled out each prop from a box. “What do you think will happen if I use this leaf blower with the ping pong ball instead of the hair dryer?” he asked the students. 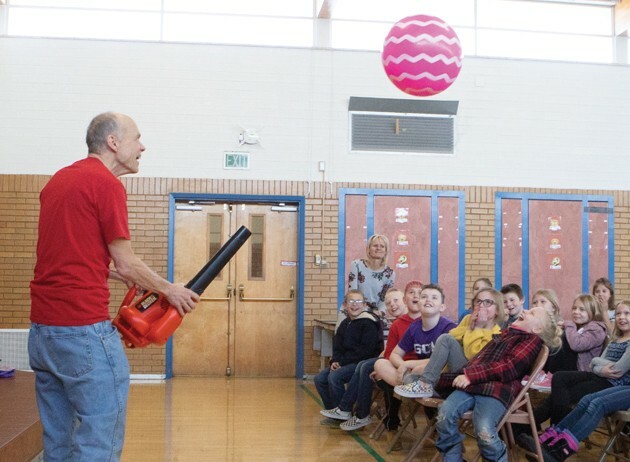 Students laughed as the ping pong ball flew across the room when he pointed the leaf blower at the ball and turned on the power. The assembly lasted about 45 minutes and Wiggins will present more science assemblies this month. 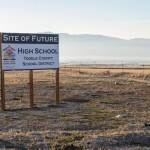 On Feb. 11 he will be at Stansbury Park Elementary, Feb. 21 at Willow Elementary in Grantsville and Feb. 25 at Copper Canyon Elementary in Tooele. It’s all part of the University of Utah’s “Phun with Physics” outreach program for third and sixth-graders. Wiggins has been conducting these traveling physics educational shows since he retired from Hansen Planetarium in 2002. Before that, he provided physics demonstrations at the planetarium dating back to 1984. Wiggins’ main focus is to encourage students to pursue careers in science. “When I was in elementary school back in the ’60s, a guy came to our school and talked about the Apollo landing on the moon and I was fascinated,” Wiggins said. “Through these presentations, I hope somebody is inspired to learn more about physics or astronomy or some type of science,” he said.